mixture onto something where it can cool. processor will work just as well. ensure youʼre doing this safely. not store well for more than 24 hours. 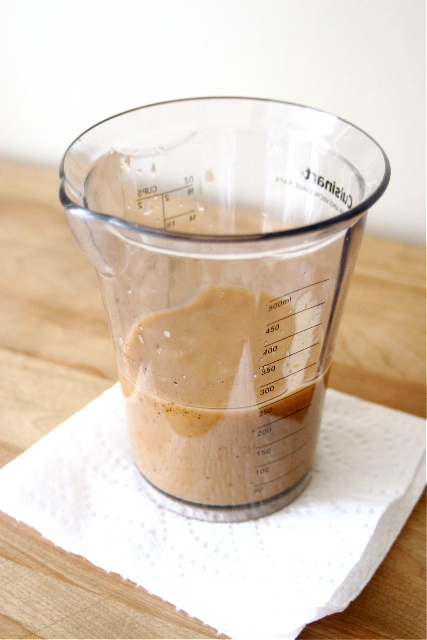 Thanks for the great dressing recipe Brandon! 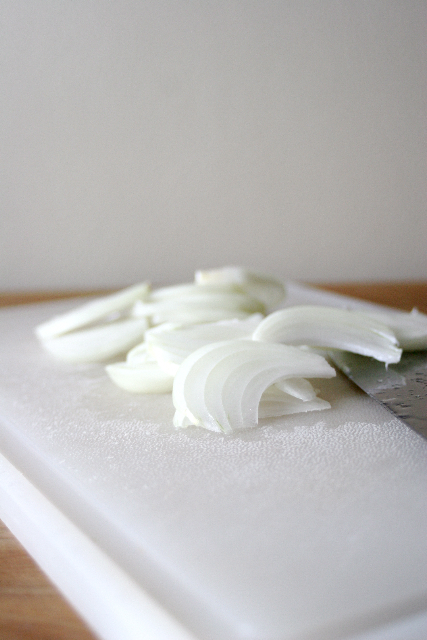 I am going to make this ASAP for my spring salads! If you or somebody you know would like to be a part of Featured Foodie Friday please e-mail me at savourthesenses (at) gmail (dot) com and we can get you scheduled! 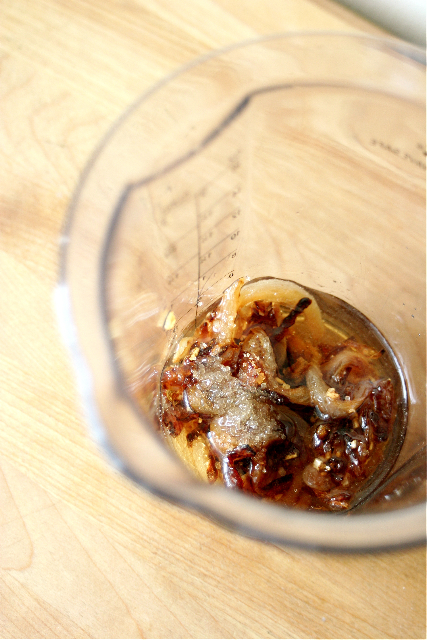 I like this amped up version of vinaigrette — delicious guest post, Brandon! And Jenny, I’m glad your foot’s on the mend before you have to “hop to it” when the Iron Chef returns. 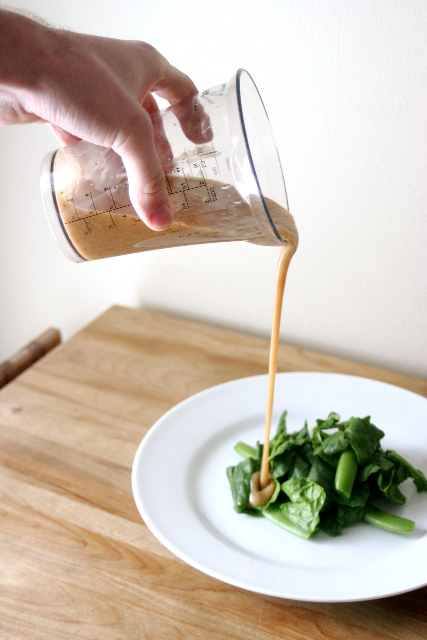 This dressing looks so delicious, yet seems easy to make, awesome! Thank you! 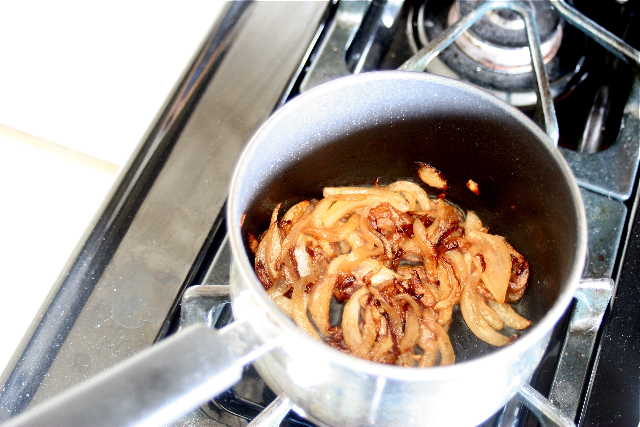 It is incredibly easy, just be sure to take the time to caramelize those onions! Hi again, back for “seconds!” 🙂 Just wanted you to know, Jenny, that you’ve “won” The Versatile Blogger Award. (see: http://alittlelunch.com/2012/03/24/march-gladness/ ) Always glad to promote positive views on life (and cooking) — which you certainly do! Oh Brandon, is it okay to say I think I’m in love? This dressing sounds wonderful! Hahaha Maureen, I feel the same way about this dressing! Thank you Kiri, they are wonderful in dressing! 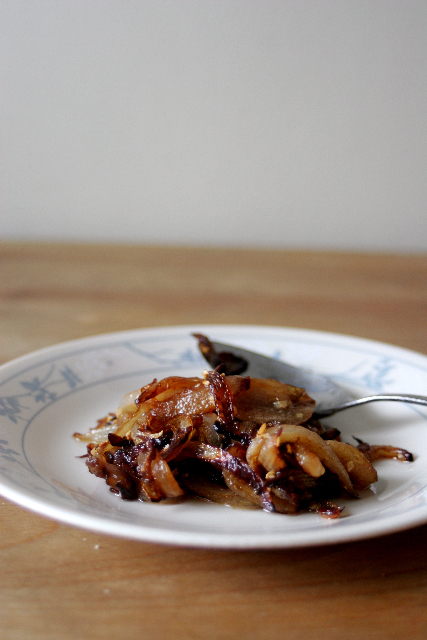 This is the perfect dressing for a salad or even grilled meats and veggies. I just pinned it to my board. Can’t wait to try it over a bacon spinach salad. Hey!! This recipe sounds AMAZING!! I noticed there are no measurements given for the ingredients! Could you please list approximate measurements? THANKS! So sorry about that! Had a glitch with my recipe program, I fixed the recipe in the post. Enjoy!